George Armstrong Custer (December 5, 1839 - June 25, 1876), one of the most mythologized figures in American history, was an United States Army officer and cavalry commander in the American Civil War and the Indian Wars. He eventually met his fate in the battle of Little Big Horn in one of the most notable defeats of American armed forces. Overall good narration. It varies with librivox volunteers but mostly good. 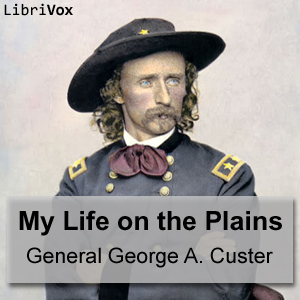 An interesting look at the life or part of the life of Custer.